Tony Gittins was born in Wolverhampton in 1970. 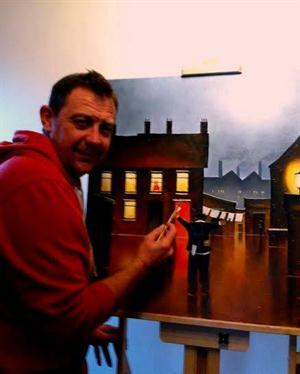 Tony left school with ‘A’ Levels in Art and Design and at the age of 17 he decided to join his father’s company so he could fund his passion for painting. At the age of 26 Tony decided to dedicate more time to his artwork and he pushed to become a full time artist.